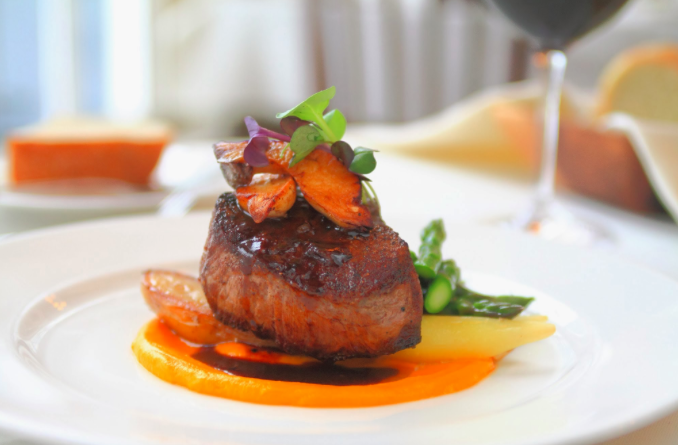 Dine like a local when you visit us on Cape Cod! There’s not much in life that’s better than good food. Well, maybe the beach. Lucky for you, our little part of the world has both. We’re going to give you the low down on how to chow down in Falmouth and beyond just like we do. summer bustle taking place on the downtown sidewalks. Cape Cod Magazine voted Añejo best Mexican food AND best margaritas on Cape Cod and we couldn’t agree more. We’ll start with drinks. If you’re in the mood for a margarita (and when are you not) we recommend the house – it’s simple and clean the way the margarita gods intended. El Jimador Blanco, Patron Citronge, organic sugar cane and squeezed lime. Not overly sweet, just the way we like it. If you are in the mood for sweet (and a little spicy) try their blood orange margarita made with jalapeño infused tequila. Olé! The menu for lunch and dinner is fantastic. Don’t leave without trying one of their tortas, everything needs a side of a lá carte guacamole and throw in some Mexican street corn for good measure – you will not be disappointed. The kicker? It’s o.2 miles away. A beautiful 5 minute walk is all that stands between you and the best Mexican food on the Cape when you stay with us! Local Tip: If you head in for a margarita and the place is packed (which it can be on a summer evening) grab a drink at the bar and head out the side door – they’ve got couches, tables and lights in the side ally between the restaurant and Twigs (an adorable local shop). Sip in peace! snacking on mascarpone, oven dried tomatoes (which have a roasted sweetness unlike anything else), and of course, what vacation appetizer is complete without a lobster butter drizzle? Is your mouth watering yet? Because we haven’t even gotten to the entree! You can choose between filet, shrimp, duck, house made gnocchi, lobster (because there is officially no such thing as too much lobster when you’re on Cape Cod) or a nightly special. Whatever you do, leave room for dessert. The Glass Onion has been hand making small batch ice cream for years and with flavors like peach pie and guava… it cannot be missed. If you’ve overdone it at dinner and simply can’t fit another thing… don’t worry. We’ve got you covered. If you head in during normal business hours and ask the hostess, you can purchase ice cream in a cone and enjoy it on their back patio! So just head back the next day, refreshed and re-hungry! The Pilot House: The Pilot House is situated on the Canal in the Sandwich Marina. Beautiful water views combined with a nice big yard and great food will create a memorable afternoon! 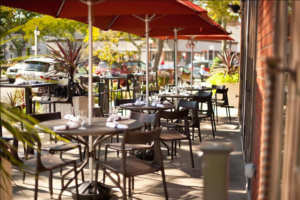 We recommend heading over for a late lunch or early dinner to take full advantage of the well placed adirondack chairs. Order a cocktail from the outdoor bar, hunker down and enjoy. Don’t feel like moving but you’re getting hungry? No worries! The waiters and waitresses are happy to bring you menus and you can dine where you sit! If you haven’t worked up an appetite yet, you’ll notice ring toss, corn hole, and more! Feel free to walk around the spacious lawn and enjoy. Most days there’s live music to add to the summer time vibe! This place is perfect for a mouth watering fried seafood plate, crab cakes, calamari, mussels and more! As we mentioned, this restaurant is in Sandwich with is just under a 30 minute drive. 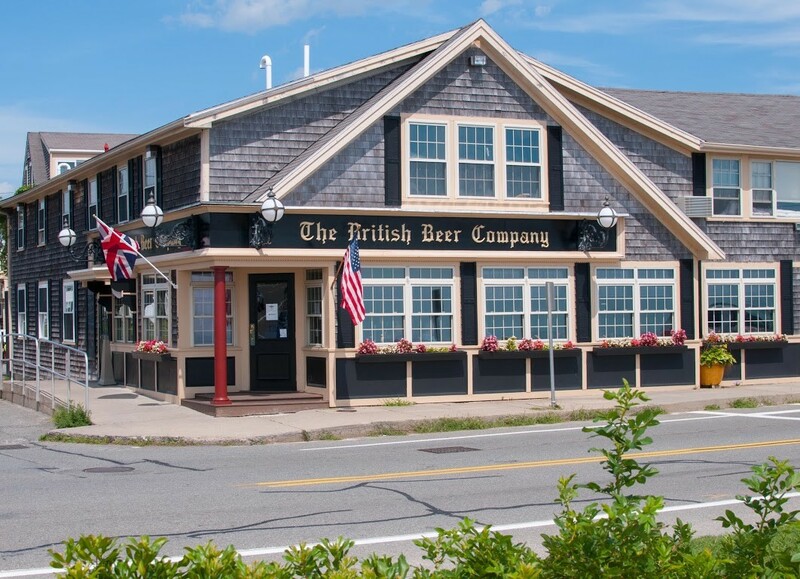 If you’d like to test it out before you commit – head over to The Quarterdeck on our very own Main Street (a 10 minute walk from the Inn). 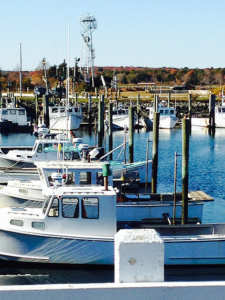 Both restaurants are owned by the same family, and both serve delicious Cape Cod fare! 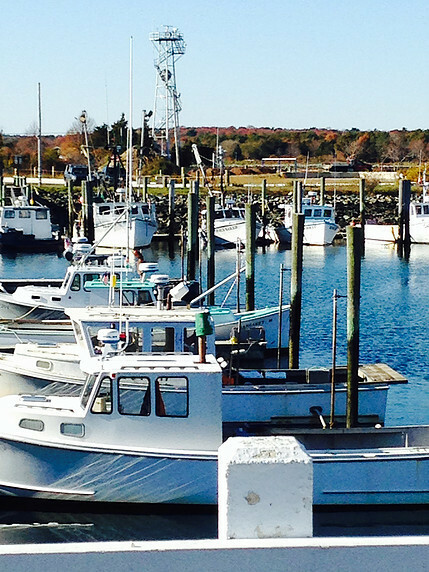 Local Tip: Have you been wondering where to get a good lobster roll? Look no further. You’ve found it. The British Beer Company (The BBC to locals): Are you in the mood to dine with your toes in the sand? We’ve got you covered. 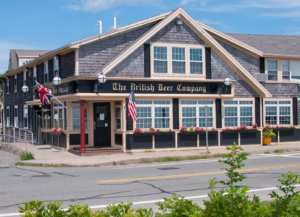 The local British Beer Company is located directly across the street from Falmouth Heights Beach. As soon as you walk in you’ll be transported to a London pub. The decor, the music, soccer on the tele… it’s foggy London town! If you’re a beer drinker, saddle up to the bar. The BBC boasts one of the best beer lists in town. The taps are ever changing and the bartenders are super friendly and helpful. If you describe what kind of beer you typically prefer, they’ll be able to suggest something new to try. If you’re not a beer drinker, you don’t have to feel left out. They’ve got a great selection of wine and offering of specialty cocktails. As you sip your pint at the bar, have a look at the menu. This is the British Beer Company, so dishes like fish and chips and bangers and mash are unbeatable. But they’ve got a wide selection of pizza, burgers, sandwiches and more. Finish your drinks, ask for your food to go and head across the street to the beach. 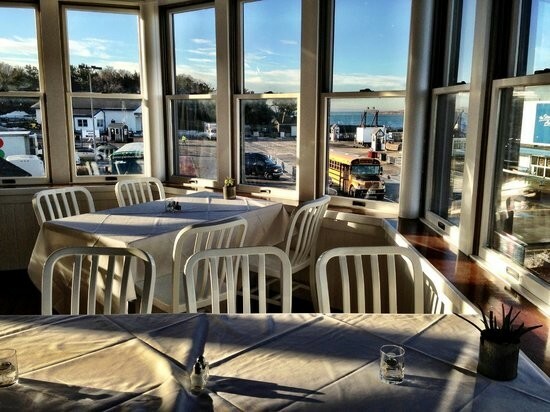 If you time it right, you can watch the sun set as you enjoy a little British food as you sit on the shores of New England. Local Tip: After you’re done eating, head back over to the BBC – it’s one of the best spots for live music in an intimate setting in Falmouth! Quicks Hole Tavern: Are you in the mood for a beautiful drive down to Wood’s Hole? Then be sure to stop into Quicks Hole Tavern for a bite. 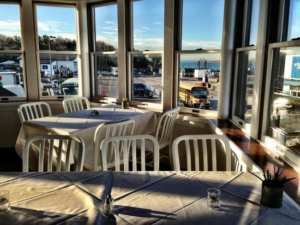 Open year round and a favorite for Vineyard ferry commuters, Quicks Hole Tavern has everything you could ask for all wrapped up into a beautiful seaside view. It’s one of our favorite places to sit and watch the ferry come in and out. They serve lunch in their upstairs dining room, fine dining on the second floor, and the first floor pub is open seven days a week offering a pub menu. What more could you ask for? The best part about this restaurant besides the views, the cocktails, the ambiance (okay there are a lot of bests) is the inventiveness of the menu. You can try Avocado Toast with chili spiced deviled eggs as an appetizer, whisky rubbed salmon and a bag of donuts for dessert! Whatever you’re in the mood for, you will not be disappointed… or bored! This is a great place to head after a nice hike down to The Knob. Local Tip: You’ve got to try the “Pig Candy,” an appetizer made with house-smoked pork shoulder braised in maple syrup and house spices, served on guava puree with celery sprout garnish. It’s been described as ‘addictive’ and we can’t agree more! Again, these are just a few of our favorites. Just to give you a little taste of the local flavor. 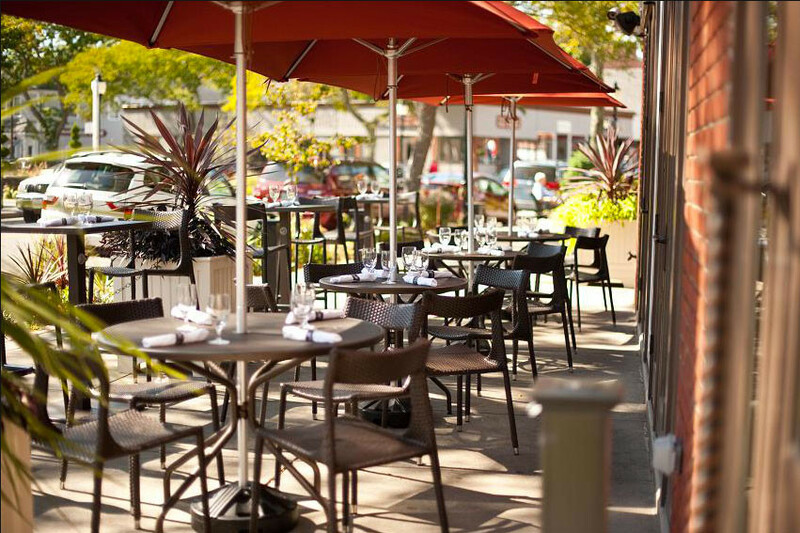 There are plenty more local favorites, and we’ll be happy to share them all with you! But this is just enough to get you started so you can dine like a local when you come to visit!